If you ever find someone's cell phone, you should always try to find out who the owner is and return the cell phone back as soon as possible. You can find out the owner's name for free on many reverse phone search websites. They also will provide you with the contact information. Alternatively, you could find out the owner's name through the owner's cell phone provider. 1. 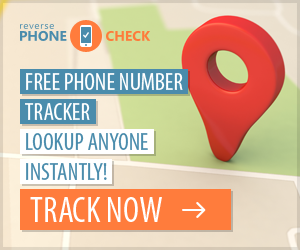 Choose a website to do a reverse cell phone search. From there, you can find out the owner's name and street address. Some examples include Cell Reverse Search, Reverse Phone Detective and Intelius. 2. Enter the owner's phone number. Click "Search." 3. Wait for the results to load on the next page. Click on the owner's name. Write down the contact information. 4. Locate the cell phone owner's cell phone provider. For example, it may have the name, "AT&T" or "Verizon Wireless" on the phone. It may be located on the back or the front of the phone. 5. Contact the cell phone provider. You may find it in the contact list. Alternatively, you can look on the cell phone provider's website for the contact information. 6. Tell the representative that you found someone's phone. Give the phone number, and any other additional information the representative may need. The representative will then give you instructions on how to return the phone to the owner. Some cell phones will allow the owner to enter his or her contact information. Look under "Options" and "Owner's Information, " if possible.